On Wednesday Night, No. 8 Virginia defeated Virginia Tech 78-52. But it was what happened after the game that had the Cavaliers players ecstatic. Following their win, Virginia coach Tony Bennett opened his press conference by announcing Justice Bartley was put on scholarship after the game. 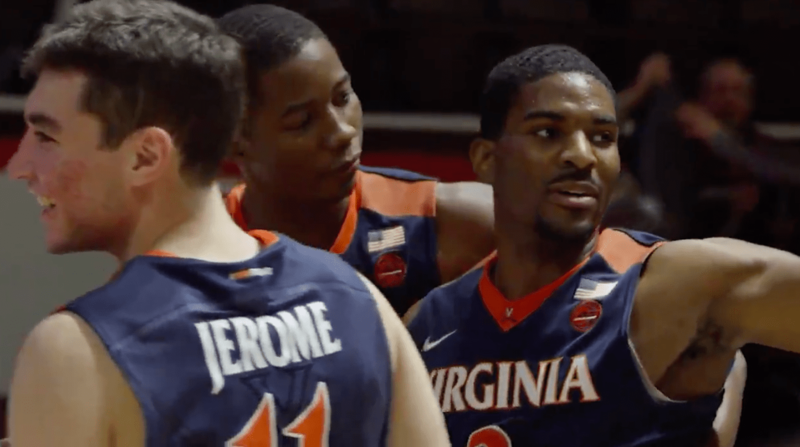 Thursday, Virginia posted the video of the players showering Bartley with water and praise after the announcement. Bartley shared on his twitter page how excited he was to find out the news. He then ended his post with the Bible verse Jeremiah 29:11. Virginia is ranked number 8 in the country and has a big game on Saturday January 6th at home against number 12 ranked North Carolina on ESPN.